Theo Murphy International scientific meeting organised by Professor Colin Smith, Dr Isabella Moll and Professor Byung-Kwan Cho. 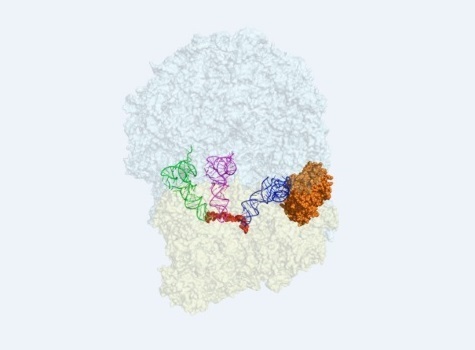 Structure of the translating mammalian ribosome with elongation factor eEF1A (orange) delivering a tRNA (blue) to the ribosome A site. Created by Ramanujan Hegde, based on a structure in Shao et al (2016, Cell, 167: 1229-1240). Our understanding of protein synthesis in living systems is being transformed as a result of breathtaking recent developments in methods for measuring the dynamics of translation, genome-wide at nucleotide resolution, and in imaging techniques to visualise translation of single mRNA molecules. This meeting will bring together leading scientists from both research areas to review progress and explore collaborative opportunities. Speaker biographies and abstracts are available below. Recorded audio of the presentations is also available below. This meeting has taken place. 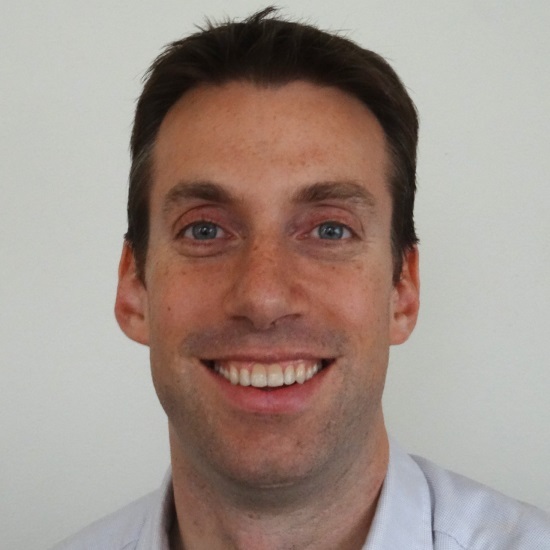 Colin Smith originally trained as a microbiologist at the University of Bristol and the John Innes Centre. 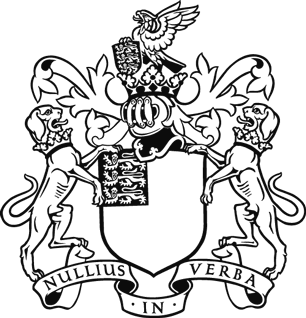 Following a postdoctoral post at the University of Bristol, Colin took up his first academic position at the University of Manchester Institute of Science and Technology and subsequently moved, in 2003, to establish genomics research at the University of Surrey. The focus throughout his career has been the study of genetic regulatory networks, firstly in the antibiotic-producing bacteria, Streptomyces and, more recently, in human subjects. 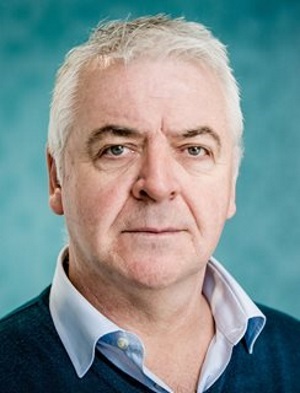 Genomics technologies have been at the heart of his research for the last 15 years and he has played a role in a range of interdisciplinary national and international collaborations. 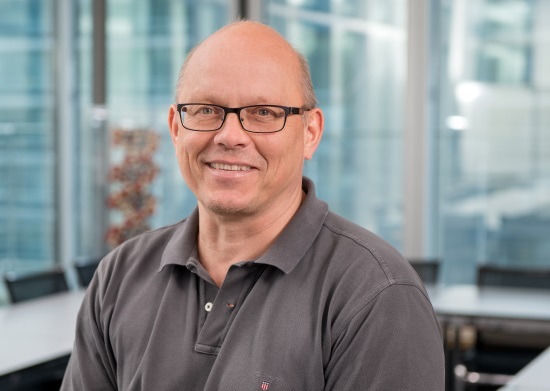 He moved to the University of Brighton in 2016 to establish its new Genomics centre, focussing on genome-wide transcriptional and translational control in bacterial and mammalian systems. The new ribosome profiling technology is central to his current research. Isabella Moll received her doctorate in Microbiology in 2000 from the University of Vienna for her studies on translation initiation on leaderless mRNAs in E. coli. After her postdoctoral research, which focused on the post-transcriptional control of gene expression, she was funded by an EMBO fellowship to pursue studies on ribosome heterogeneity in the laboratory of Knud Nierhaus at the Max Planck Institute for Molecular Genetics, Berlin. In 2005, she received the Hertha-Firnberg Award and became principal investigator at the Centre of Molecular Biology in Vienna. After her Habilitation in 2012, she was appointed Associate Professor at the Max F. Perutz Laboratories, University of Vienna. Her current research addresses various aspects of the modulation of protein synthesis during bacterial stress adaptation with a particular focus on molecular mechanisms governing ribosome heterogeneity. 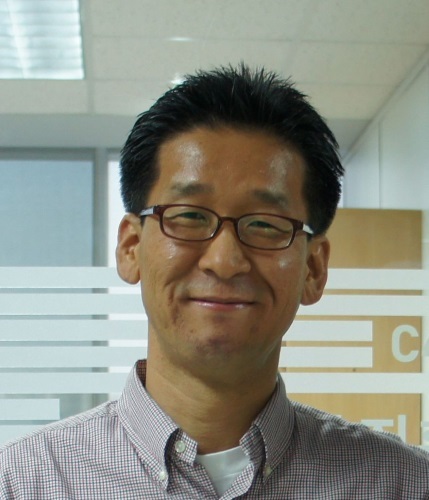 Professor Cho is an associate professor at the department of biological sciences of Korea Advanced Institute of Science and Technology (KAIST) since 2010, Korea. 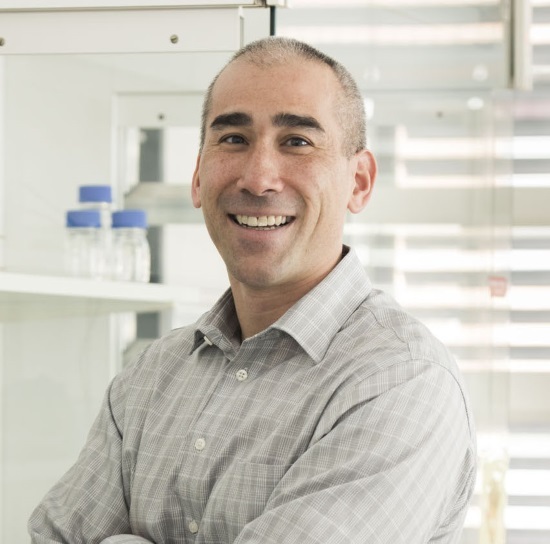 Before joining the KAIST, he has been a project scientist in the Palsson lab at the department of bioengineering of University of California San Diego. He completed his PhD. in the molecular biotechnology and biomaterials laboratory at the Seoul National University, Korea. 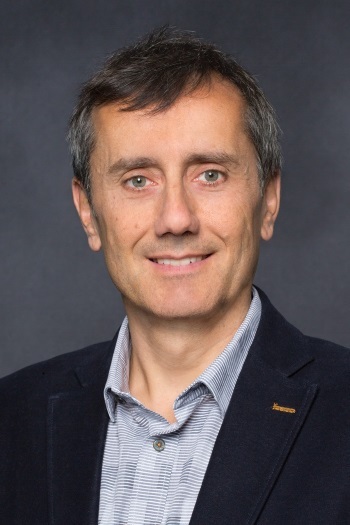 His research has focused on the systems and synthetic biology of microorganisms, in particular he has contributed on the understanding of microbial transcriptional and translational regulatory networks at a genome-scale using high-throughput technologies. He is highly interested in the determination of bacterial meta-structure, which consists of numerous cis- and trans-genetic (or genomic) elements such as transcription start sites, promoters, ribosome-binding sites, and non-coding RNAs. He has published over 80 scientific papers and gave about 300 presentations at the international conferences and the invited seminars. He has appointed as a young scientist from World Economic Forum (WEF) 2012 and Korea Academy of Science and Technology (KAST) 2013. There are several mRNA surveillance pathways in eukaryotes (NGD, NSD and NMD) that moderate the effects of natural errors in the cell and more broadly regulate gene expression. Dr Green has previously defined biochemical parameters of the factors Dom34, Hbs1 and Rli1 in her in vitro reconstituted yeast translation system. She has correlated these biochemical observations with ribosome profiling experiments in yeast to broadly define the in vivo targets of these same mRNA surveillance pathways. In the process of studying these pathways, she has learned that different ribosome footprint (RPFs) sizes represent distinct states of the ribosome in a cell, and that these signatures can inform us on the molecular stresses that the ribosomes encounter. She is currently defining how various stresses encountered by cells trigger specific translational distress, and how the cell responds to these molecular triggers. Other studies in mammalian platelets and reticulocytes revealed the accumulation of ribosomes in the 3’ UTR of mRNAs and we connected this phenomenon with diminished levels of ribosome rescue (DOM34/HBS1L) and recycling (ABCE1) factors in these systems. She is currently drawing together related observations in the yeast and mammalian systems to better define the factors and mechanisms that maintain cellular ribosome homeostasis and to explore how it impacts development and stress-responses. Rachel Green began her scientific career majoring in chemistry as an undergraduate at the University of Michigan. 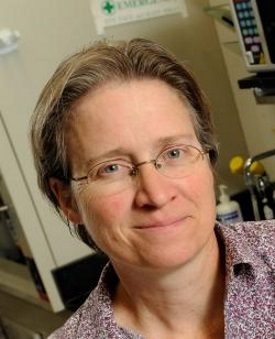 Her doctoral work was performed at Harvard in the laboratory of Jack Szostak where she studied RNA enzymes and developed methodologies for evolving RNAs in vitro. 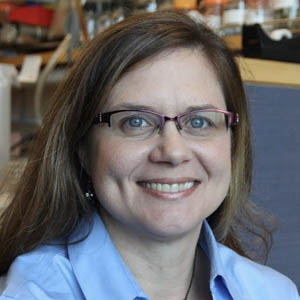 She came to the JHU School of Medicine in 1998 following post-doctoral work in Harry Noller’s lab at UC Santa Cruz where she began her work on ribosomes. Her laboratory is interested in deciphering the molecular mechanisms that are at the heart of protein synthesis and its regulation across biology. This focus allows her to still think about the earliest evolutionary steps that led to life on earth, but in a system where biological questions drive the experiments. Her laboratory uses both biochemical and genomic approaches to get at these questions in bacterial and eukaryotic systems. Dysregulation of protein synthesis is a common theme in many neurological disorders. In tuberous sclerosis complex, alterations in TSC cause mTOR, a master regulator of translation, to become hyperactivated. Fragile X syndrome involves loss of function of the polysome-associated RNA-binding protein FMRP, which is thought to regulate translation elongation. Professor Sim's developed a new, high-sensitivity ribosome profiling technique and used it for genome-wide analysis of protein synthesis in animal models of these two neurological disorders. His analysis reveals new insights into the molecular mechanisms through which the associated genetically altered proteins impact protein synthesis in the brain. 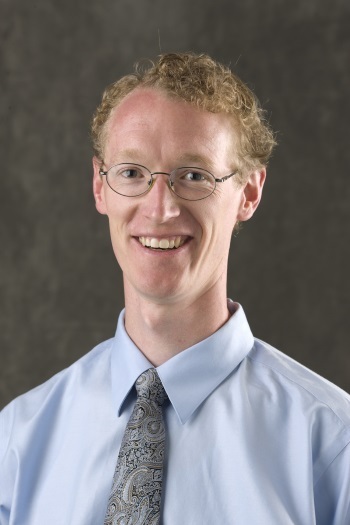 Dr Sims is an Assistant Professor of Systems Biology at Columbia where his laboratory develops technology for studies of translational control and single cell genomic analysis for applications in complex tissues and solid tumors. 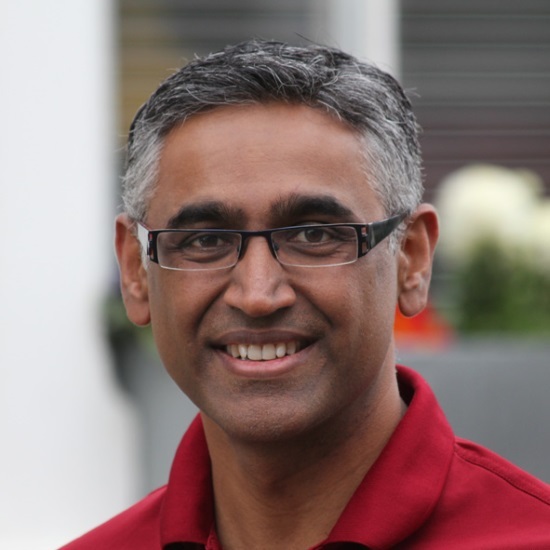 Dr Sims received his PhD in chemistry from Harvard where he received training in optical microscopy and microfluidics. His lab combines these tools with high-throughput sequencing to enable new biological measurements. Regulation of protein synthesis on mRNA is central to eukaryotic expression of genes. Regulatory inputs are specified by the mRNA untranslated regions (UTRs) and often target translation initiation. Initiation consists of dynamic and complex interactions between eukaryotic initiation factors (eIFs) and the small ribosomal subunit (SSU) and concludes with joining of the large ribosomal subunit (LSU) to form a full ribosome and translate the mRNA code. While control of protein synthesis is important for fast-paced cell adaptation, methods to study the mechanistic intricacies of translation initiation in vivo transcriptome-wide were lacking. A translation complex profile sequencing (TCP-seq) has been developed; a method related to the ribosome profiling approach. TCP-seq uniquely allows to resolve all translation intermediates, including the elusive mRNA ‘scanning’ by SSUs, visualize start codon recognition events, and capture diverse conformations of elongating ribosomes in vivo. Thus, the method can be used to pinpoint mRNAs with high potential for functional control and visualize locations of the regulatory elements in their 5'UTRs. Combining TCP-seq with eIF-selective purification of complexes, Professor Preiss now aims to discern the fundamental mechanistic problems of initiation, such as what proteins confer directionality to the SSUs during scanning, and how ribosomal recruitment to mRNA is controlled during nutrient stress conditions. He will further adapt TCP-seq to use in mammalian cells and aim to obtain snapshots of translation in normal and cancer cells. 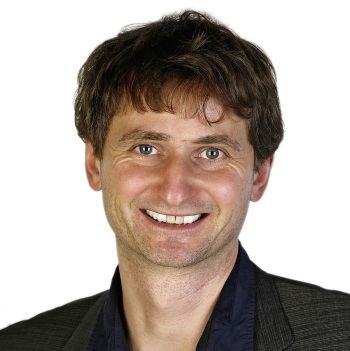 Thomas Preiss is Professor of RNA Biology at The Australian National University (ANU). From 1986-91 he studied Chemistry in Marburg (Germany) and Bristol (UK). With his PhD research (1992-95) at the University of Newcastle upon Tyne (UK) he joined the field of RNA research. He spent the next seven years (1995-2002) as a postdoctoral scientist with Matthias Hentze at the European Molecular Biology Laboratories (EMBL), Heidelberg (Germany). In 2002, he started his own group at the Victor Chang Cardiac Research Institute (VCCRI) in Sydney (Australia). In 2011, he moved to ANU in the national capital Canberra. His lab focuses on determining the mechanisms and transcriptome-wide patterns of eukaryotic mRNA utilisation and its regulation by RNA-binding proteins, RNA modifications and non-coding RNAs. Some of the work is best described as discovery science but he also studies these phenomena in the medically relevant contexts of cardiac and neurodegenerative disease, stem cell biology and cancer. 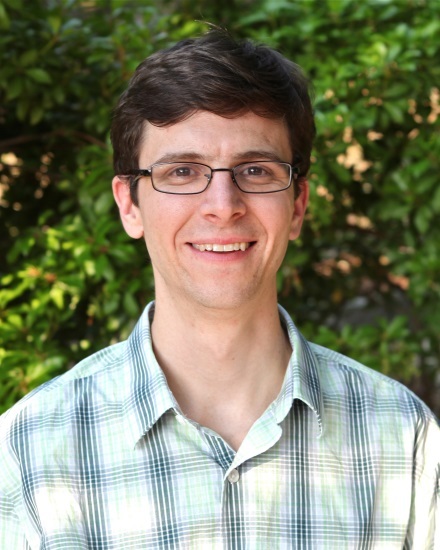 Thomas has by now mentored ~40 postdocs and PhD/Masters level students and he is very active in peer review at various journals and funding agencies. Professor Bakau reported the dissection of the flux of newly synthesized proteins through the system of co-translationally engaged factors in E. coli and S. cerevisiae using ribosome profiling technology. In E. coli, the SRP targets inner membrane proteins to the membrane, whereas the chaperone trigger factor (TF) associates primarily with cytosolic, periplasmic and outer membrane proteins, indicating nascent chains are triaged between SRP and TF pathways. The Hsp70 chaperone DnaK interacts in concerted action with TF, typically with longer nascent chains and reflecting domain boundaries of the emerged nascent chains. The assembly of protein complexes initiates co-translationally once the domain interfaces of the interacting polypeptides are exposed. The organisation of the subunit-encoding genes in operons facilitates the assembly process. In S. cerevisiae the Hsp70 chaperone Ssb shows a different pattern of early nascent chain association as compared to its prokaryotic DnaK counterpart. Co-translational protein assembly is also observed, despite operon organisation of genes is less common, pointing to differences in the principles governing protein assembly in pro- and eukaryotes. Bernd Bukau studied biology at the Universities of Besançon and Konstanz and received his PhD in bacterial genetics with Professor Winfried Boos at the University of Konstanz. After three years as a postdoctoral fellow with Professor Graham Walker, Massachusetts Institute of Technology (USA), he joined the group of Professor Hermann Bujard where he built up an independent research group at the Center for Molecular Biology of the University of Heidelberg (ZMBH). In 1997 he took over the chair in biochemistry at the Medical Faculty in Freiburg, and in 2002 he accepted a professorship at the ZMBH in molecular biology. He was Deputy Director of the ZMBH from 2002-2004, and is the Executive Director of the institute since 2004. Also, he is Co-Founder and Co-Director of the Alliance between the ZMBH and the German Cancer Research Center (DKFZ) since 2008 and speaker of the Collaborative Research Center "Cellular Surveillance and Damage Respose" (SFB 1036) since 2012. 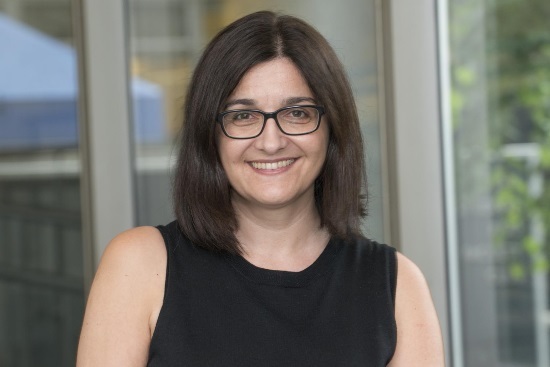 Professor Bukau has received several research awards including the Gottfried Wilhelm Leibniz-Price of the German Science Foundation and is member of EMBO. His research focus is the regulation of the heat shock response and the mechanisms of molecular chaperones. Professor Stasevich has developed technology to image single RNA translation dynamics in living cells. Using high-affinity antibody-based probes, multimerized epitope tags, and single molecule microscopy, we are able to visualize and quantify the emergence of nascent protein chains from single pre-marked RNA1. In this talk, he will describe this technology as well as a new multi-frame tag that extends the technology to enable real-time quantification of single RNA translation kinetics in any two of the three possible open reading frames. As a first application of the multi-frame tag, he uses it to dissect the kinetics of the HIV-1 frameshift sequence. Whereas previous bulk assays have shown this sequence leads to ~10% frameshifted product, it was not clear if all RNA frameshift with ~10% efficiency or if instead ~10% of RNA frameshift with ~100% efficiency. Interestingly, our live-cell data suggest the latter scenario, where a small subset of genetically identical RNA frameshift with high efficiency. The origin of this heterogeneity is not yet clear, but experiments are beginning to implicate a ribosomal pause that leads to a higher than normal density of ribosomes near the frameshift sequence on frameshifting RNA. 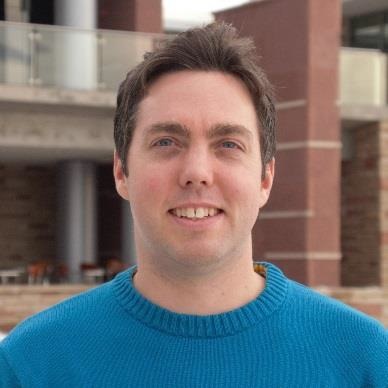 Timothy J Stasevich is an Assistant Professor in the Department of Biochemistry at Colorado State University (CSU). His lab uses a combination of advanced fluorescence microscopy, genetic engineering, and computational modeling to study the dynamics of gene regulation in living mammalian cells. Most recently, his lab has pioneered the imaging of real-time single mRNA translation dynamics in living cells1. Dr Stasevich received his B.S. in Physics and Mathematics from the University of Michigan, Dearborn, and his PhD in Physics from the University of Maryland, College Park. Before joining the faculty at CSU, Dr Stasevich worked as a post-doctoral research fellow with Dr James G McNally at the National Cancer Institute, with Dr Hiroshi Kimura at Osaka University, and with the Transcription Imaging Consortium at the HHMI Janelia Research Campus. After transcription, an mRNA's fate is determined by an orchestrated series of events (processing, export, localisation, translation and degradation) that is regulated both temporally and spatially within the cell. In order to more completely understand these processes and how they are coupled, it is necessary to be able to observe these events as they occur on single molecules of mRNA in real-time in living cells. To expand the scope of questions that can be addressed by RNA imaging, we are developing multi-color RNA biosensors that allow that status of a single mRNA molecules (e.g. translation or degradation) to be directly visualised and quantified. In order to image the first round of translation, Dr Chao has developed TRICK (translating RNA imaging by coat protein knock-off) which relies on the detection of two fluorescent signals that are placed within the coding sequence and the 3′UTR. In this approach, an untranslated mRNA is dual labeled and the fluorescent label in the coding sequence is displaced by the ribosome during the first round of translation resulting in translated mRNAs being singly labeled. A conceptually similar approach was used for single-molecule imaging of mRNA decay, where dual-colored mRNAs identify intact transcripts, while a single-colored stabilized decay intermediate marked degraded transcripts (TREAT, 3′ RNA end accumulation during turnover). Dr Chao is using these tools to characterise localised translation and degradation during normal cell growth and stress. Jeffrey Chao obtained his PhD from The Scripps Research Institute in La Jolla, CA where he worked with James Williamson on the structure and function of RNA-protein complexes. His postdoctoral studies with Robert Singer at Albert Einstein College of Medicine in Bronx, NY focused on characterization of mRNPs involved in RNA localization and developing fluorescent microscopy techniques for imaging single mRNAs. In 2013, he established his own group at the Friedrich Miescher Institute for Biomedical Research in Basel, Switzerland. His group has recently described a fluorescent imaging methodology that enables the time and location of the first translation events of single mRNAs within a living cell to be measured. His laboratory continues to investigate the mechanisms that control post-transcriptional regulation in the cytoplasm. Guided by a small RNA, Argonaute 2 (Ago2) interacts with its target mRNA, resulting in mRNA cleavage and decay. In vitro measurements have provided important insights in the binding and cleavage kinetics of Ago2, but much less is known about the behavior of Ago2 in living cells. Here, Marvin describes a method based on his previously developed SunTag translation imaging system, which allows him to observe cleavage of single mRNAs by Ago2 in living cells. He found that Ago2 frequently cleaves its target mRNA within minutes after nuclear export, at a time that precisely coincides with the arrival of the first translating ribosome at the Ago2 binding site. Using translation drugs and different mRNA reporters, he showed that ribosomes can stimulate mRNA decay by Ago2, by promoting the release of cleaved mRNA fragments from Ago2. However, the role of ribosomes in modulating Ago2 activity is paradoxical, as ribosomes also inhibit mRNA cleavage by Ago2, by displacing Ago2 molecules from the mRNA before cleavage can occur. Whether ribosomes promote or inhibit cleavage depends on mRNA release kinetics of the small RNA/Ago2 complex, and Ago2 showed distinct release kinetics when associated with different small RNAs. In summary, through live-cell single molecule imaging, he found that ribosomes profoundly alter Ago2’s mRNA cleavage activity by modulating distinct rate constants of the Ago2 cleavage cycle. Marvin Tanenbaum received his PhD in 2010 from Utrecht University for his work on cell division in the group of Professor René Medema. After obtaining his PhD, he was a postdoc in the group of Prof. Ron Vale at UCSF, where he developed a keen interest in the mechanisms and dynamics of gene expression control. He pioneered several new techniques, including the SunTag system, and developed methods to observe gene expression in single living cells by fluorescence microscopy. In 2015, he became a group leader at the Hubrecht Institute in the Netherlands and was awarded an ERC Starting grant, and was selected as a HHMI International Research Scholar. His group uses single molecule microscopy and novel types of genetic engineering to dissect the temporal and spatial control of gene expression. At least half of human genes use alternative cleavage and polyadenylation to generate mRNA transcripts that differ in the length of their 3' untranslated regions (3'UTRs) while producing the same protein. We found that 3'UTRs can mediate protein-protein interactions, and thus, can determine protein localization and protein functions. Dr Mayr showed that the long 3'UTR of CD47 is required for the formation of a protein complex between CD47 and SET. This interaction enables CD47 protein to efficiently localise to the cell surface, but it also changes protein function as only CD47 protein that was generated from the long 3'UTR isoform (CD47-LU) is able to activate the Ras GTPase RAC1. Dr Mayr investigated the mechanism of 3'UTR-dependent interaction between SET and CD47 and found that the RNA-binding protein TIS11B is necessary for this process. TIS11B is known to bind to AU-rich element (ARE) containing mRNAs and destabilizes specific mRNAs. Using super-resolution live cell imaging, we observed that TIS11B assembles into a large tubule-like meshwork that is intertwined with the endoplasmic reticulum (ER). The TIS11B granules enrich membrane protein-encoding mRNAs that contain multiple AREs in their 3'UTRs, including CD47-LU, and they exclude mRNAs lacking these features. The TIS11B granules also enrich specific proteins including chaperones, but they exclude SET. The spatial arrangement of the TIS11B granules and the ER enables the ER to act as diffusion boundary for SET. This traps SET at the ER surface and facilitates 3'UTR-mediated protein-protein interactions between SET and newly made membrane proteins, including CD47-LU and PD-L1. The function of TIS11B in the destabilization of mRNAs does not require TIS11B granule formation. Therefore, when RNA-binding proteins are soluble or present as single entities, they can regulate mRNA-based processes, including mRNA stability. However, assembly of RNA-binding proteins into larger aggregates, including RNA granules, allows them to acquire new properties that are necessary for the regulation of protein functions through 3'UTR-dependent protein-protein interactions. Christine Mayr is an Associate Member of Sloan-Kettering Institute. She received her M.D. from Free University in Berlin and her Ph.D. in Immunology from Humboldt University in Berlin, Germany. During her time as a postdoc in the laboratory of David Bartel at the Whitehead Institute at MIT she became interested in 3'UTR-mediated gene regulation. In her own lab, her research has focused on the role and regulation of alternative 3'UTRs. Her lab recently discovered that 3'UTRs can mediate protein-protein interactions of newly translated proteins. As a consequence, alternative 3'UTRs enable the formation of alternative protein complexes. Thus, despite having one amino acid sequence, a protein can have multiple functions which are determined by the alternative 3'UTRs. Furthermore, 3'UTRs may also regulate cellular organisation through the regulation of protein complex formation. Mycobacterium tuberculosis causes human tuberculosis but can also persist for decades as an asymptomatic latent infection. An ability to adapt to diverse growth conditions encountered during infection is central to its success as a human pathogen. The mechanisms underlying persistence are poorly understood, and the emergence of drug-resistant tuberculosis makes the development of effective new treatments an urgent challenge. Understanding the ability of M tuberculosis to switch between replicating and non-replicating states during infection and disease is central to the search for improved treatments. The number of copies of a protein produced by a cell is generally viewed as being determined by the number of mRNA transcripts, but recent findings suggest that ‘specialised ribosomes’ can modify proteome profiles by preferential translation of particular mRNA subsets, particularly in response to stress. mRNA molecules contain specific signals that optimise their interaction with ribosomes; known as leader sequences, these include the Shine-Dalgarno (SD) sequence required for canonical translation initiation in bacteria. Dr Cortes has previously demonstrated that M tuberculosis expresses an unexpectedly high number of leaderless mRNA transcripts that lack the SD sequence. In Escherichia coli, only a few leaderless transcripts have been described and they are selectively translated. Proteins with secondary adaptive functions are generally leaderless in M tuberculosis. Furthermore, in a starvation model of growth arrest, transcriptome and translatome analysis reveal a preferential translation of leaderless encoding transcripts. Dr Cortes postulates that translational regulation contributes to the phenotypic adaptation of this pathogen, presenting the latest advances in our work. 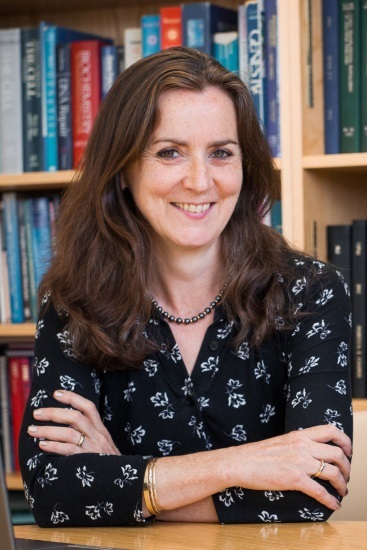 Teresa Cortes is an Assistant Professor at the London School of Hygiene and Tropical Medicine (LSHTM) in London. She completed a PhD in Biology from the University of Valencia, Spain in 2010, which focused on the characterisation of circadian clock genes in insects. 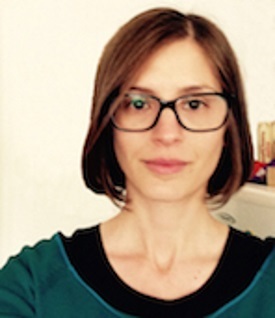 In October 2010, Teresa joined the Mycobacterial Research Unit at the National Institute for Medical Research in London, to work as a postdoctoral researcher with Professor Douglas Young on the development of sequence-based transcriptomics in Mycobacterium tuberculosis, the causative agent of human tuberculosis. 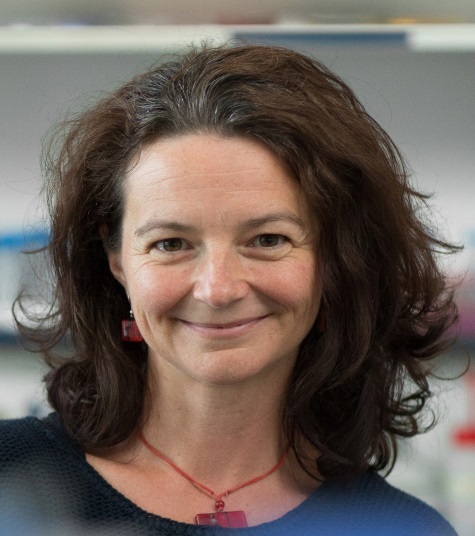 In 2015, Teresa established her own research group at the Department of Pathogen Molecular Biology at LSHTM after being awarded an ERC Starting Grant from the European Research Council. Her group id investigating the role of translational regulation in the adaptive response on M. tuberculosis, and its contribution to differential susceptibility to drugs that target ribosomal activities. Although ribosome profiling shows tremendous potential to yield mechanistic insight into protein synthesis in vivo, its effectiveness in bacteria has been hindered by poor resolution and technical artifacts. Dr Birskirk has developed improvements in the method that reveal ribosome density at single nucleotide resolution in bacteria. He found that the methods used to harvest cells and prevent translation in lysates (with antibiotics) induce sequence-specific pauses. Using updated methods that eliminate these artifacts, we have begun a series of studies on initiation of protein synthesis. The classical model is that the Shine-Dalgarno (SD) sequence recruits 30S subunits to mRNAs through base-pairing interactions. Paradoxically, ribosome profiling studies show no correlation between the strength of the SD-aSD interaction and translation efficiency (a measure of ribosome density per mRNA). To address this paradox, we developed a ribosome profiling method to study the translational landscapes of ribosomes with mutant anti-Shine-Dalgarno sequences (so-called orthogonal ribosomes). Overall, he observe that translational efficiencies are well correlated for the wild-type and mutant ribosomes, suggesting that the SD sequence may not be the most important factor in determining initiation rates. When he sorted mRNAs based on their SD strength, however, he saw that mutant ribosomes are more dense on messages with weak SDs and less dense than wild-type on messages with strong SDs. His studies show for the first time a contribution of SD sequences to translational efficiency genome wide. Since completing his PhD at Harvard in 2004, Dr Allen Buskirk has focused on understanding the mechanism of protein synthesis in bacteria. His early studies revealed pauses that occur during elongation and how they are resolved by the cell. Using genetic selections, he identified nascent polypeptide sequences that inhibit their own synthesis on the ribosome. Together with Rachel Green, he used kinetic methods to tease out the molecular mechanism of ribosome stalling by these peptides and how ribosomes are rescued by tmRNA. His group moved to Johns Hopkins in 2014, where he has made significant contributions to improving the ribosome profiling protocol in bacteria in order to obtain high resolution data that accurately reflect the translational landscape in vivo. Ongoing projects leverage the power of ribosome profiling to reveal insights into translational mechanisms in vivo. Cellular adaptation to stress by phosphorylation of eIF2-alpha and downregulation of eIF2-dependent protein synthesis by a diverse set of stimuli is collectively described as the integrated stress response (ISR) and is a salient feature associated with neurodegeneration, cancer, and autoimmunity. Yet, despite translational repression during the ISR, select mRNAs sustain translation and are associated with translation upstream of the open reading frame (uORF). Dr Starck re-purposed the sensitivity and specificity of T cells to monitor translation from unanticipated regions of the mRNA, such as uORFs. Tracing Translation by T cells (3T) is a method whereby insertion of a tracer peptide coding sequence into select candidate DNA sequences supports translation of the nested tracer peptide. The tracer peptide translation products are processed and loaded onto MHC I molecules in the ER and are presented on the cell surface where they can be detected by specific T cell hybridomas using a colorimetric reagent. Using 3T, Dr Starck showed that the essential endoplasmic reticulum (ER)-resident chaperone BiP harbors uORFs that are exclusively initiated by the non-AUG start codons UUG and CUG. BiP uORF expression bypasses a requirement for eIF2 and is dependent on the alternative initiation factor eIF2A. Both translation of the UUG-initiated uORF and eIF2A are necessary for BiP expression during the ISR. Unexpectedly, the products of uORF translation are predicted to generate MHC I peptides active in adaptive immunity. Dr Starck proposes that this phenomenon represents an extracellular signature during the ISR and could elicit autoimmunity and be a source of tumor-associated antigens (TAAs). Shelley is a Senior Scientist with NGM Biopharmaceuticals in South San Francisco, CA, USA. Her biologics-based group supports research to find new drugs to treat cardio-metabolic diseases, liver diseases, and cancer. During her PhD studies at the California Institute of Technology, Shelley developed a variety of molecules to assay the stereo- and regiochemical constraints of protein synthesis. She continued to explore the mechanisms by which translational control regulates adaptive immunity as a postdoctoral investigator with Professor Nilabh Shastri and Professor Peter Walter at the University of California. Shelley contributed to a variety of high impact discoveries identifying the nature of mammalian protein synthesis from unanticipated regions of the genome. Her passion for understanding the adeptness of the translational machinery has expanded to include discovery and development of protein-based therapeutics. RNA-seq can rapidly profile the expression of theoretically all RNA molecules in any given organism but the primary sequence of these transcripts is a poor predictor of cellular function. This has been particularly evident for the regulatory small RNAs of bacteria which dramatically vary in length and sequence within and between organisms. Professor Vogel has established a new method (gradient profiling by sequencing; Grad-seq) to partition the full ensemble of cellular RNAs based on their biochemical behavior. His approach enabled him to draw an RNA landscape of the model pathogen Salmonella Typhimurium, identifying clusters functionally related noncoding RNAs irrespective of their primary sequence. The map revealed a previously unnoticed class of transcripts that commonly interact with the osmoregulatory protein ProQ in Salmonella enterica. He has shown that ProQ is a conserved abundant global RNA-binding protein with a wide range of targets, including a new class of ProQ-associated small RNAs that are highly structured, and mRNAs from many cellular pathways. His functional characterization of these small RNAs that suggests that they constitute a previously unrecognized third domain of RNA-mediated control in bacteria which rivals the scope of the well-established regulons of the small RNA-binding proteins, Hfq and CsrA. By its ability to describe a functional RNA landscape based on expressed cellular transcripts irrespective of their primary sequence, our generic gradient profiling approach promises to aid the discovery of major functional RNA classes and RNA-binding proteins in many organisms. Jörg Vogel has been Professor and Director of the Institute of Molecular Infection Biology at the University of Würzburg, Germany, since 2009. His main interests are regulatory small RNAs in pathogenic bacteria, and infection-associated noncoding RNAs in eukaryotic hosts. His laboratory has also pioneered several RNA-seq based approaches to study cellular RNA molecules as well as their interactions with proteins. He studied biochemistry in Berlin and London, and in 1999 graduated from Humboldt University Berlin with a thesis on catalytic group II introns. Following postdoctoral research on small RNA discovery at Uppsala University and the Hebrew University in Jerusalem, he was a group leader in RNA Biology at the Max Plank Institute for Infection Biology in Berlin (2004–2009). He is an elected member of EMBO and the German National Academy of Sciences. In their natural environment, Bacteria encounter a variety of stressors. Thus, they are equipped with diverse mechanisms to adapt to these dynamic environmental cues. Hitherto, the alteration of gene expression in response to stress was mainly attributed to alternative transcription or the regulation of protein synthesis by means of protein or RNA factors that affect translation initiation. In contrast, we focus on the modulation of the translatome via the reversible formation of ‘specialized ribosomes’ that selectively translate mRNA subsets. Here, we will present different modes of ribosome heterogeneity as well as their potential implication in the regulation of protein synthesis, emphasizing the key role of the translational machinery in the economic integration of environmental signals in the stress response network. Cells respond rapidly to external stress conditions by post-transcriptional control of gene expression; in particular, by the regulation of protein synthesis. Control of translation is achieved through modification of the translational machinery resulting in reprogramming of the translatome and synthesis of specific proteins required for stress protection/apoptosis. Recently, it has been shown that under certain pathophysiological conditions, modulation of translation rates via the elongation (rather than initiation) stage makes the major contribution to protein synthesis control. We have shown that this regulatory step is important in disease mechanisms that range from initiation of tumorigenesis (Faller et al 2015 Nature) to failure of synaptic maintenance in neurodegeneration (Perretti et al 2015 Nature, Bastide et al 2017 Current Biology). Importantly, Professor Willis has shown that it is possible to reduce neurodegeneration in mice with prion disease by modifying the rates of elongation through the induction of mild hypothermia. Mechanistically we have shown, by translational profiling, that cooling results in reprogramming of the translatome, up-regulation of RTN3, which evades cooling-induced translational elongation repression through its interaction of RBM3. In mice, knockdown of RTN3 expression eliminates cooling-induced neuroprotection, whereas RTN3 overexpression prevents synaptic loss and cognitive deficits downstream and independently of RBM3. The use of translational/ribosome profiling to examine elongation control in healthy and diseased states will be discussed. A major goal of my group’s research efforts is to understand how cells identify failures during protein maturation and dispose of aberrant products to maintain cellular homeostasis. Failures can occur at any step on the pathway to a functional protein, including translation, folding, localization, modifications, and assembly. This talk will focus on how interruptions during the normal translation cycle are detected by the cell to selectively target the partially synthesized nascent protein for degradation. We have been investigating the problem of molecular recognition at two critical steps. Working backwards from nascent protein ubiquitination, we have determined how the ubiquitin ligase Listerin achieves exquisite specificity for nascent chains on stalled ribosomes, while scrupulously avoiding actively translating ribosomes. More recently, we have studied how pathologically slow ribosomes are first identified by the cell. We found that abnormally slow ribosomes are selectively and site-specifically mono-ubiquitinated by the E3 ligase ZNF598 to mark them for downstream quality control. Biochemical studies showed that ZNF598 preferentially engages nuclease-resistant di-ribosomes, a molecular species that arises when a trailing ribosome encounters a slower leading ribosome. Indirect sensing of aberrantly slow translation via di-ribosomes is shown to integrate the elongation speeds of leading and trailing ribosomes with translation initiation frequency to reach a final quality control decision. This multi-parameter model reconciles earlier contradictory findings across different experimental systems, and shows how higher-order polysome structure can be exploited by cellular machinery to monitor translation status. Ramanujan Hegde earned his MD and PhD from UCSF, and established his laboratory at the US National Institutes of Health. After eleven years at the NIH, he moved to the MRC Laboratory of Molecular Biology in 2011, where he is currently a Programme Leader. The Hegde lab is fascinated by the maturation and quality control of secretory and membrane proteins. Their research has two interrelated goals. The first is to understand the mechanistic principles underlying protein synthesis, localization, and maturation. The second is determine how cells deal with inevitable inefficiencies and errors in these biosynthetic pathways, and the consequences for disease when such quality control mechanisms fail. The Hegde lab addresses these problems with a variety of biochemical, cell biological, and structural approaches to identify and functionally reconstitute the machineries underlying these basic cellular pathways.